The art form originated as ritual paintings on mud walls of Warli homes in the Sahyadri Range near Mumbai. Inspired by nature, the simple motifs of Warli paintings have an earthy appeal. In recent decades the art form has moved on to find expression in other spaces – paper, canvas and fabric. Warli prints work well on khadi. The art form originated as ritual paintings on the walls of Warli mud homes in hill ranges near Mumbai. Inspired by nature, the simple motifs have an earthy appeal. In recent decades the art form has moved on from walls to find expression in secular spaces – paper canvas and fabric. The motifs work well on khadi. 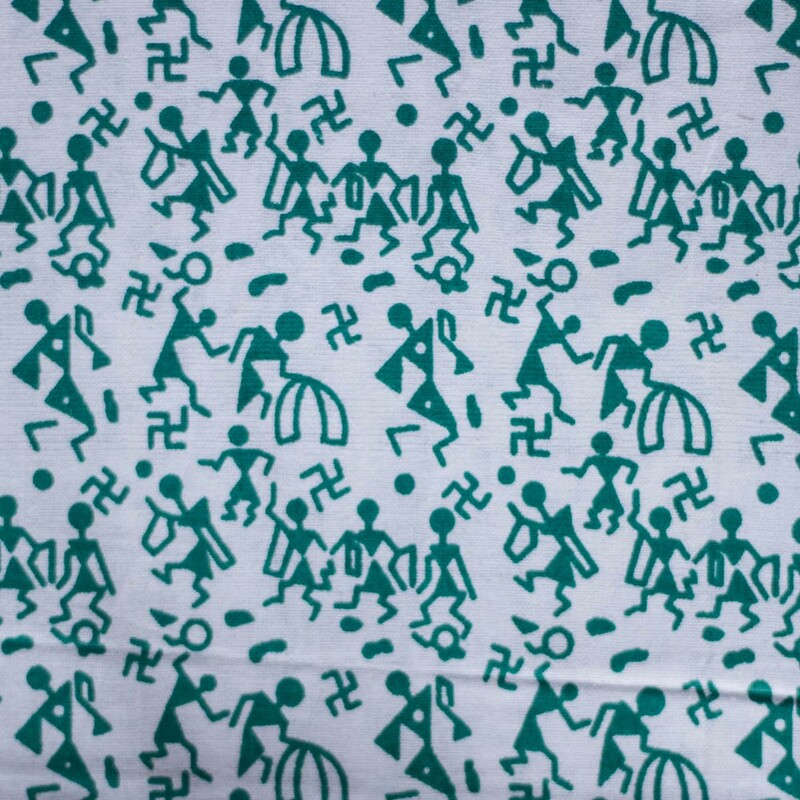 Warli print 2 can be printed in other colours as well.